The Arts Council Collection, the UK’s most widely seen collection of modern and contemporary art, announces plans for marking its 70th anniversary during 2016. The celebrations will include 8 new commissions that will go on display across the UK and two new touring exhibitions, 'Night at the Museum', curated by Ryan Gander, and 'Drawn from Life: People on Paper'. The 8 artists who are making new work for the Arts Council Collection’s 70th Anniversary Commissions include: John Akomfrah, Hurvin Anderson, Marvin Gaye Chetwynd, Ryan Gander, Mark Leckey, Katie Paterson, Heather Phillipson and Keith Piper. The commissions will open at different venues across the UK throughout 2016 before becoming a permanent part of the Arts Council Collection where they will be available for loan to museums, galleries and other spaces nationally and internationally. Half of the artists selected for the commissions - John Akomfrah, Hurvin Anderson, Katie Paterson and Heather Phillipson - will be joining the Collection for the first time, the others contributing major new works. John Akomfrah's new film 'Tropikos' (2016) is the first commission to open at the Arnolfini in Bristol on Saturday 16 January. 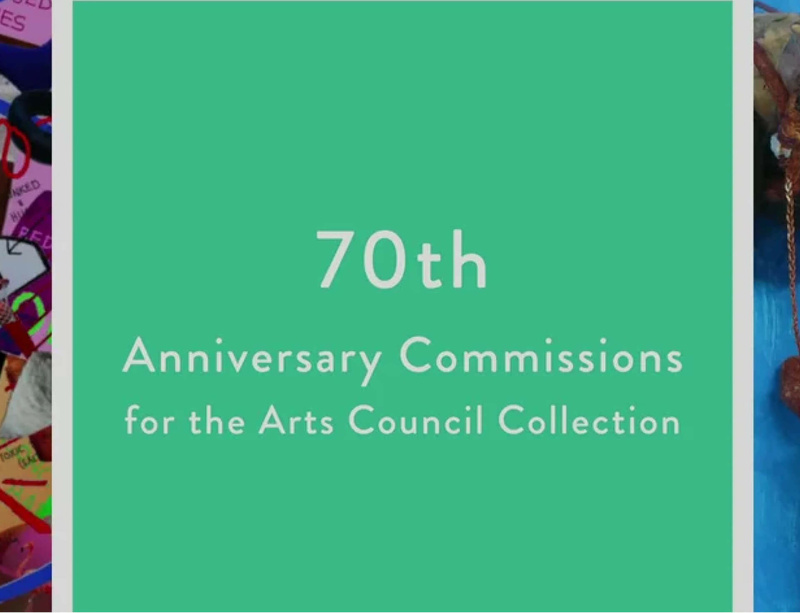 For more information on the Arts Council Collection and its 70th anniversary commissions, please click here.